 Stub Ends are typically manufactured by two methods. Type A & B Stub Ends are made similar to forged fittings such as Elbows and Flanges. Stub Ends are available in two standard lengths, MSS and ANSI and are normally provided with a standard weld bevel.  Stub end dimensions are shown below. 1/2" 0.84" 1-3/8" 2" 3" .0674" .083" .622" .109"
3/4" 1.050" 1-11/16" 2" 3" 0.884" .083" .0824" .113"
1" 1.315" 2" 2" 4" 1.097" .109" 1.049" .113"
1-1/4" 1.660" 2-1/2" 2" 4" 1.442" .109" 1.380" .140"
1-1/2" 1.900" 2-7/8" 2" 4" 1.682" .109" 1.610" .145"
2" 2.375" 3-5/8" 2-1/2" 6" 2.157" .109" 2.067" .154"
2-1/2" 2.875" 4-1/8" 2-1/2" 6" 2.635" .120" 2.469" .203"
3" 3.500" 5" 2-1/2" 6" 3.260" .120" 3.068" .216"
4" 4.500" 6-3/16" 3" 6" 4.260" .120" 4.026" .237"
5" 5.563" 7-5/16" 3" 8" 5.295" .134" 5.047" .258"
6" 6.625" 8-1/2" 3-1/2" 8" 6.357" .134" 6.065" .280"
8" 8.625" 10-5/8" 4" 8" 8.329" .148" 7.981" .322"
10" 10.750" 12-3/4" 5" 10" 10.420" .165" 10.020" .365"
12" 12.750" 15" 6" 10" 12.390" .180" 12.000" .375"
These Stub Ends are for use with standard Lap Joint Flanges and Slip On Flanges. The Lap of a Type “C” is flared over – leaving a rounded edge at the I.D. of the Lap. If required this radius can be made nearly square. The Lap thickness is 75% of the pipe wall under consideration. The Type “C” has a very short outside fillet radius small enough to accomodate any back up flange. The Lap face on a Type “C” is not machined and is smooth. These Stub Ends are for use with standard Lap Joint Flanges.The Lap thickness on these Stub Ends is greater than, or equal to, the minimum thickness of the pipe wall under consideration. The Type “A” has its outside corner radiused to accommodate Lap Joint Flanges. The inside corner is square. The Lap generally has a machined serrated face. 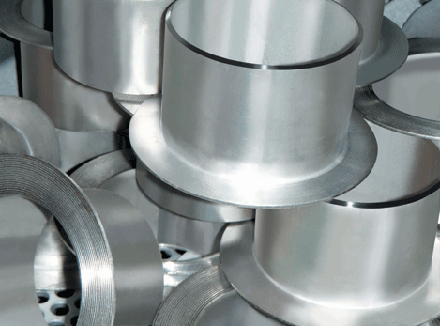 These Stub Ends are for use with standard Slip-On Flanges acting as Lap Joint Flanges. The Lap thickness on these Stub Ends is greater than, or equal to, the minimum thickness of the pipe wall under consideration. The Type “B” has an outside corner radius small enough to accommodate Slip-On Flanges that are being used as the Backup Flange. The inside corner is square. The Lap generally has a machined serrated face.